Sitting beside them, with the smell of coffee claiming its own presence in the room, one might suspect that the two beaming students nearly finishing each other’s sentences have a connection. In truth, the two have been through so much together in the past 15 months that they might as well read each other’s thoughts. 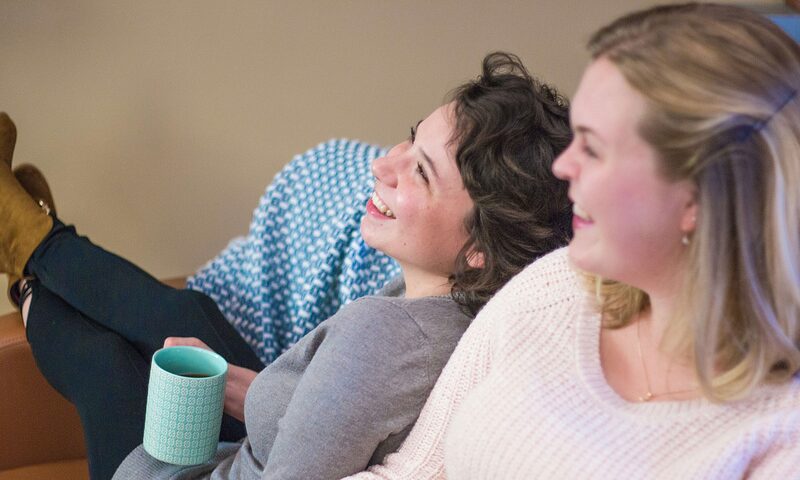 Megan Zusy (’18) and Leah Mullens (’18) are an uncommon pair: two girls who faced tremendous diagnoses and came out stronger, with an uncommon grace and a desire to be more than just nurses to their patients, but compassionate people with genuine care. 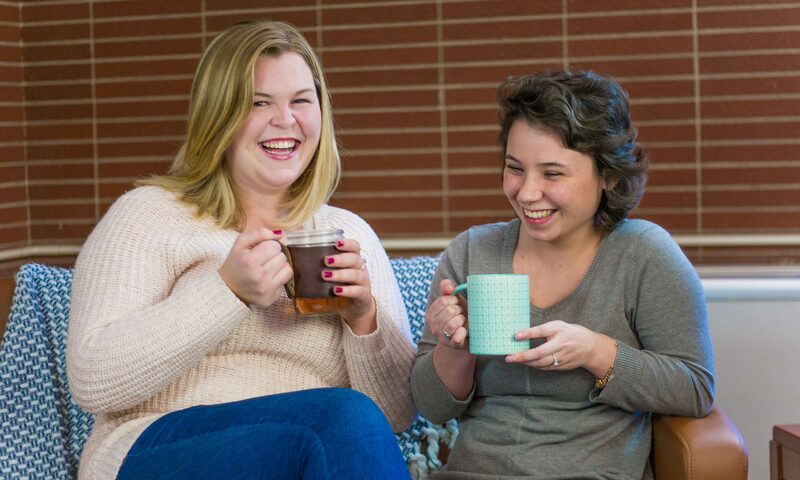 Since the day Megan and Leah met in their first nursing class together, they’ve shared a special connection. But even these close friends couldn’t have predicted just how uncommon of a connection it would be. An hour away, Megan was reeling from her own devastating diagnosis. Doctors discovered she had an acoustic neuroma, a benign brain tumor that was pushed against the nerves of her brainstem. It needed to be removed, but the required surgery could result in deafness or paralysis of part of her face. The following months of treatments, procedures, and the resulting fear of the uncertain future were softened by the unfolding support and relentless encouragement the girls leant to each other. Over the course of the next six months, the duo mailed each other books, texted encouraging messages, spoke on the phone, and led each other from initial feelings of anger to feelings of hope and faith. The girls weren’t the only ones supporting each other. The entire nursing department from Concordia saw them through the many difficult months. They made blankets signed with encouraging messages for both Megan and Leah, and attended benefits for the girls. I’ve learned that the cancer is part of my journey, but it doesn’t define me. I am not just the girl with cancer.